Did you know that the Native Americans weren’t savages? Throughout the history of the United States, people have referred to Native Americans as “uncivilized” and “savages.” However, Natives were and are civilized people. By what I have gathered from different sources there are many different opinions on what makes a person or group civilized. Native societies exhibited the markers of civilization because they had some form of government, had rules of etiquette, and practiced some form of religion. Native Americans had a form of government or some type of leader. Giovanni da Verrazzano wrote a letter to the king of Portugal describing his interaction with the people he met in North America in the early 1500s. One of the entries tells how a king comes on their ship and tries to communicate with them. Different tribes or groups of people had leaders, someone to look up to, and someone to put things in order. If they didn’t have a leader then everything would have been chaotic and unorganized. In the same passage when the king came onto the ship it says that the queens stayed outside and the people watched from the ground. That proves that only the leader took care of things and his people and allowed him to keep them in place. Even in history books it talks about how a leader takes charge and helps his people. If the natives had someone to listen to and to look up to, then that demonstrates a civilized form of government. Natives were presentable and polite to the best of their ability. da Verrazzano says that whenever they came across a group of Natives, they always had their hair up or braided and wore their trinkets (jewelry). Also he says that the “[women’s] customs and behavior follow womanly custom as far as befits human nature.” Even the women had a presentable look. da Verrazzano says that he and his men tossed things to the Natives out of their boats or gave them things. The Natives appreciated the gifts with gratitude. The Natives’ appreciation demonstrates a form of etiquette. In this letter alone it shows that the natives were presentable and had etiquette, qualities that civilized people share. Other hallmarks of civilization include resourcefulness, sociable behavior, and religious practices. Giovanni da Verrazzanohe wrote that the ‘Indians’ had copper, corn, and water. If they had those essentials, then they must have had food and herbs that they grow for themselves. The Natives got together sometimes and conversed among themselves in a group. They were very sociable with each other, they also had religion. Before the white people came, Natives had their own beliefs and cultures. Natives shared qualities of civilization such as religion and using resources with other people groups during the same time period. 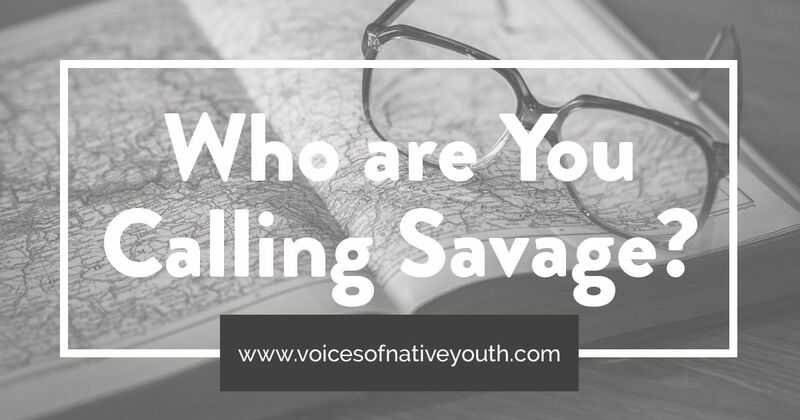 Native Americans weren’t ‘savages’ and are civilized people. Natives had a leader and therefore a form of government. They were polite and were presentable to the best of their ability. The Natives had their own religion, were resourceful and were sociable. The Native Americans were groups of civilized people. Textbooks that portray Native Americans as savages without culture, perpetuate a myty. And that myth has hurt Native Americans since colonizers first landed in North America. Davarena (a.k.a Dave) is a Navajo currently finishing her last year of high school and preparing for her college education. Dave is an eccentric foodie with dyspraxia who loves her puppy, Oliver. What Happens When Drugs Take Over Your Life? Davarena, thank you for your informative essay! More people need to hear this. I will be glad to share on social media. Blessings to you! Gayl recently posted…Darkness: Is There a Way Out? Well thought out and presented. My “civilized” ancestors who met your “uncivilized” ancestors were, I hate to admit, were more “savage” than yours. Even today our lives are potmarked by savagery. Just watch the evening news any day of the week for proof. It was such a shame the Europeans didn’t understand the culture that was here when they came. Good essay. Voices of Native Youth exists to give Native American youth a forum for sharing their opinions, culture, accomplishments, and recommendations.